How to decrease the time of shutdown for my Windows PC? My windows PC is taking a long time to shutdown and it is irritating, I have tried so many tweaks but still its slow. Can you tell if there is any possibility to reduce the time of shutdown by changing some settings in the registry.? How to shutdown my Windows 8 PC? Is it possible to shutdown my Windows PC automatically after some period of time? How to do it? Can you tell me the procedure to do it? How to improve the shutdown speed on Windows 8? What to do if shutdown option unexpectedly hangs Vista PC? What should I do if shutdown option will restart Windows XP PC? How to resolve the shutdown/restart problem with my Windows 8 PC? Re: How to decrease the time of shutdown for my Windows PC? Yes, Of Course you have a tweak in registry to reduce the time of shutdown but you can try it with your own risk and it should work fine because I have tried it and it just works fine. You can reduce around 8-10 sec of the shutdown time by following this. STEP 1: Open the registry editor by opening Run command ( Windows key + R ) and type regedit. STEP 2: In the left menu navigate too HKEY_LOCAL_MACHINE\SYSTEM\CurrentControlSet\Contro l.
STEP 4: Right click on the key and click Modify. STEP 5: Change the value from 12000 to 4000. NOTE: Do not change the value less than 4000 because many applications which are running needed 4s to close and if it is less than that you probably might lose the data. If you still feel that your system is taking lot of time to shutdown after trying everything then better you can upgrade your PC hardware to latest to increase the performance. Before Windows shuts down, it attempts to properly close all running processes. If a service doesn’t close immediately, Windows waits for a few seconds, until it prompts the user that the service is not responding to the shutdown request. The amount of this waiting time is defined by registry keys and you can reduce it. ii)In the left menu navigate too HKEY_LOCAL_MACHINE\SYSTEM\CurrentControlSet\Contro l.
iii)Within that folder (on the right) find and double-click the string > WaitToKillServiceTimeout. In the > Edit String window, change the > Value data from the default of 12000 (12 seconds) to 2000 (2 seconds). Click > OK to save the change. iii)On the right, find and double-click the string > WaitToKillAppTimeout. iv)If this entry does not exist, you can create it. Right-click into the folder and click through > New > String Value, and name it > WaitToKillAppTimeout. v)Set > Value data to 2000, click > OK.
i)Right-click your Windows 7 desktop and select > New > Shortcut. This method is also known as hard boot, as it is typically used to shut down and immediately reboot the computer. It should be used with extreme caution! simply disabled diskette drive and parrallel ports in bios. In bios also set the serial port to be managed by the os. Now computers shutdowns faster than ever. It takes less than a minute. 1.Go to Start/Run/type: msconfig loook for the Start up tab,and then uncheck everything except Firewall. Then restart and try shutdown again. 2.Uninstall the program you most recently installed. 3.If you have a suitable System Restore point,try that. In the Run text box, type regedit and then click OK.
On the right panel , search for AutoEndTasks registry key. Double click on the key and modify the Value data to 1. Click on OK when done. Restart the Windows, the change will be effective. Modifying the Windows registry may cause your computer to stop functioning. Backup and handle with care. To undo the changes, just change back the Value data of the Registry key to 0.
it is better to use softwares such as "tune up utilities" and "advanced system care" for reducing the shutdown time. 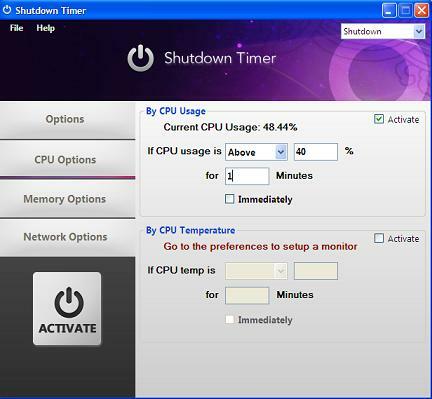 in those applications you can optimize the shutdown time. and decrease it from 12000 to 4000 or 5000. Close all the running programs completely. Some programs still run in the background even if you close them(eg. u torrent,antivirus,etc.) See that your RAM is not being used up for some unnecessary work. Usually this is caused by some virus or trojan which keeps running and continuously uses the computer's resources. Keep your antivirus up to date. # first click the right button and type regedit in run option and press enter. # now choose the registry editor and start your computer after any changes to go into effect. If you want to decrease the the time of shut down in your PC then you have to download and install the software of speed shut down from the internet and also you can speed up your system's performance with the shutdown software and you will not get any problem of the shut down time and also the system gets shut down with a great speed. Friend, in order to increase the speed of functioning of the system, it may be fast access or fast shut down, your System should be free from Virus. So, install anti virus in your System and remove virus. Remove Temp files which may slow your System. Keep Updating the Anti Virus. Off course, you can decrease the time of shutdown for my Windows PC. You have done it !! During Shutdown, Windows generally closes all programs and processes that are running on Desktop as well as that are running in background. So, if number of processes is less, then your Windows will Shut down quickly. Firstly, stop all the unrequired startup programs. You can do it by writing "Msconfig" in Search Bar of Start. Then, choose tab Startup of Msconfig. From here, you can disable startup programs. Secondly, you must have some space in C: Drive for the proper functioning of Windows. Leave at least 20 GB for your Windows. Also, don't forget to check whether Virus is present in your computer or not. If it is, remove it immediately. Lastly, whether size of RAM is enough for your system or not. If it is less, increase it. Upto 2 GB, it would be enough for smooth running of the Windows. Just Tap Force To Shut Down For Instant Shut Down of your PC. 1. Press Windows+r to open the Run Command. 2. Type "regedit" in it. 3. In the left menu navigator select the path: "HKEY_LOCAL_MACHINE\SYSTEM\CURRENTCONTROLSET\CONTR OL I. 4. Right click on the key and click on modify from the context menu. 5. Change the value from 12000 to 4000.
:- press window + r.
:- run window will open write regedit in it. :- a window will appear you have to follow the track given -- hkey_local_machine/system/currentcontrolset/control i.
:- modify it and change its value from 12000 to 4000.
:- 4000 is minimum limit dear don't set the below value. :- dear when you are going to shut down your pc dear we care full that no program is running in background of system dont force shut down your computer it will take more time to shut down. See whatever I follow from your query is that your machine has caught few viruses. You need to clean up your machine when you are running it. Take few hours and just run any good antivirus, say, Quick Heal or any other such good and freely available antivirus. After your entire system software is scanned and all the threats are detected and deleted subsequently, you restart your machine again. This option will come as soon as the entire procedure completes. Do not delay the restarting and begin it as soon as the dialog box for this comes up. You will see that your machine is going much smoother than before. 1: Press Windows+r to open the Run Command. 2: Type "regedit" in it. 3: Click on Modify it and change its value from 12000 to 4000. (Do not decrease less than 4000 as many application require min.4000 to close). 4: You have done it.!!!!! i)click the key [WINDOWS] + [R], type regedit into the text field, and click OK to launch the registry editor. In the registry editor, navigate to this folder:ii)In the left menu navigate too HKEY_LOCAL_MACHINE\SYSTEM\CurrentControlSet\Contro l.4. Right click on the key and click on modify from the context menu.5. Change the value from 12000 to 4000. If you want to dercrease the time of shuting down. Then you should to delete older files and folder . Clean up you disk . And click your desktop screen. This is the common problem faced by the window users. Follow all the steps above to decrease the time of shutdown. 4)don install heavy antivirus . To Decrease the time of shutdown of window pc. Press Winkey +’R’ and type ‘Regedit’ which brings you the Registry Editor. look the right side find WaitToKillServiceTimeOut and double click on it. You can enter a value from 2 to 20000, each value representing a millisecond. Two seconds would be 2000. Again click OK and then simply exit the program. Yes, in fact you've got a tweak in written record to cut back the time of closing however you'll attempt it together with your own risk and it ought to work fine as a result of I actually have tried it and it simply works fine. you'll scale back around 8-10 sec of the closing time by following this. STEP 1: Open the written record editor by gap Run command ( Windows key + R ) and sort regedit. STEP 2: within the left menu navigate too HKEY_LOCAL_MACHINE\SYSTEM\CurrentControlSet\Contro l.
STEP 4: Right click on the key and click on Modify. STEP 5: modification the worth from 12000 to 4000. NOTE: don't modification the worth but 4000 as a result of several applications that area unit running required 4s to shut and if it's but that you simply in all probability would possibly lose the info. If you continue to feel that your system is taking ton of your time to closing once making an attempt everything then higher you'll upgrade your computer hardware to latest to extend the performance. Before Windows shuts down, it makes an attempt to properly shut all running processes. If a service doesn’t shut straightaway, Windows waits for some seconds, till it prompts the user that the service isn't responding to the closing request. the quantity of this waiting time is outlined by written record keys and you'll scale back it. iii)Within that folder (on the right) realize and double-click the string &gt; WaitToKillServiceTimeout. within the &gt; Edit String window, modification the &gt; price information from the default of 12000 (12 seconds) to 2000 (2 seconds). Click &gt; alright to save the modification. 4th==donot install heavy antivirus .